My Digital Media Workshop class gives us real-world client projects to work on. 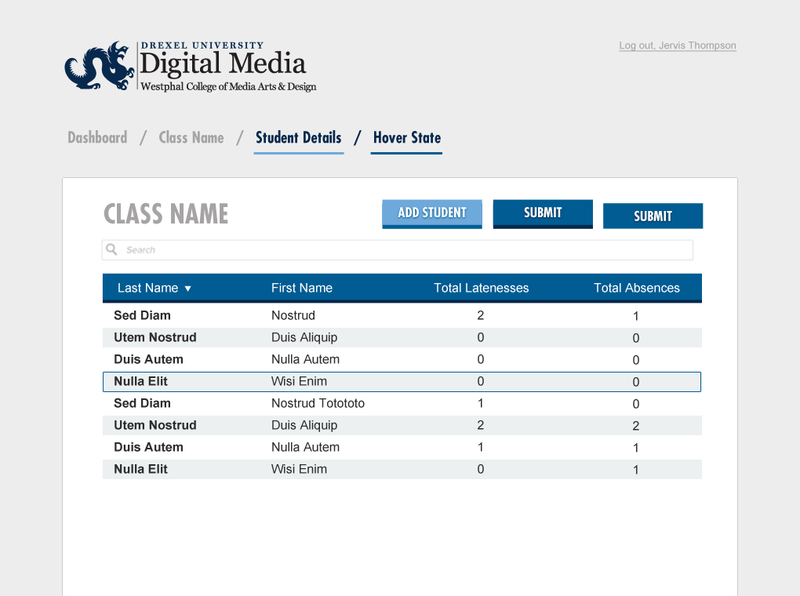 My team is in charge of creating an application that will take attendance for classes in the Digital Media department. This app will actually be implemented in classes starting next year, so the work is more than just conceptual. We have done card sorting, wireframing, and other exercises to lay out the logistics behind the site, so now it is time to start creating some actual visuals. This week’s assignment is for each of our team members to create their own “style tile” — which is intended to give a rough idea of how the site will feel visually. I chose to design a style tile using bold blocks of Drexel-themed colors and a simple, open layout. The bright areas of color will be used to draw the user to important pieces of functionality. I’ll get feedback on this design and have something more final to show after the next class. 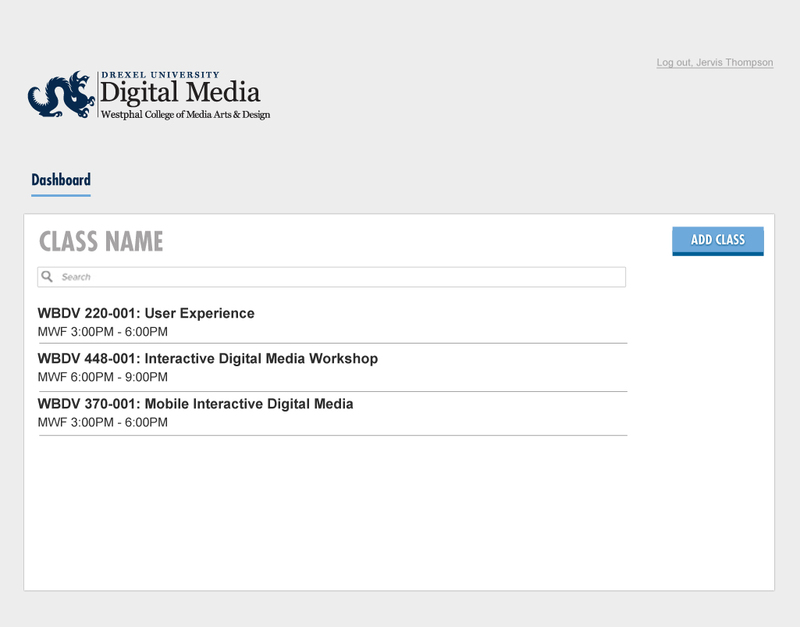 My group received feedback from the client that the colors used on the previous version were too generic (looked like every other Drexel software package). This is a tricky bit of feedback to work with since there is a limited color palette of Drexel-approved colors that we have to work with. In the end, we made the decision to work with a few of the approved accent hues from within the Drexel branding guidelines. This gave us a more unique, “modern Drexel” look and feel. I then went on to apply this new style tile to some of the wireframes that we created earlier, to see how the final product may look. The result is a nice airy space that leaves the interface looking simple and light.